The house building industry is calling on Government to abandon the planned revision of Part L of the Building Regulations next year. 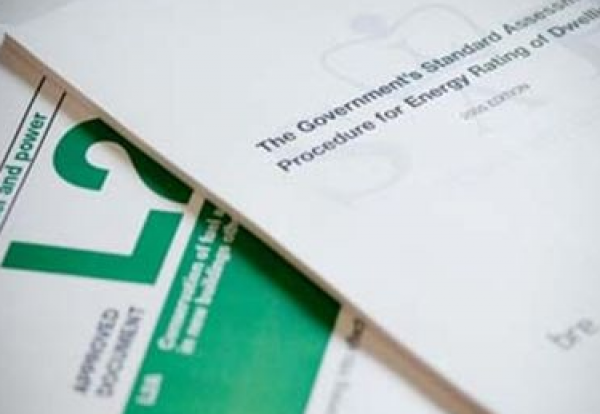 House builders and suppliers have united to warn that the plans to impose stricter energy performance targets on new homes is destined to fail. An influential report from new homes think tank, the Futures Group, also warns that less than 1,000 homes have been built to meet energy performance standards under the current Part L 2010 document. The report warns driving through yet more changes next year will cause unnecessary upheaval and detract from the 2016 low carbon homes goal. It also raises serious concerns about indoor air quality in more tightly sealed new homes. The Futures Group has told the Government that more time is needed to evaluate the effect of current regulations on energy performance measurement techniques. The warning is another hammer blow to the Government’s green agenda, which is also facing Tory MP pressure to scrap a planned extension tax this Autumn. This would require householders to spend 10% of the value of any new extension on energy efficient measures in the rest of the house. Tightening of Part L of the Building Regulations is the central plank of the Government’s green agenda for new building. The new regulations are due to come into force in October next year. The Futures Group argues priority must be given to defining the testing methods for measuring housing energy performance to build up a body of reliable and trusted benchmark data.